LaGrange College has provided Microsoft Office to every student free of charge. Office 365 includes the latest version of Word, Excel, PowerPoint, OneNote, and more. As long as you’re a student here, you’ll be able to use this software for free. 2. Click the green "Find out if you're eligible" block. 3. Enter your full LaGrange College email address and click Sign Up. 4. 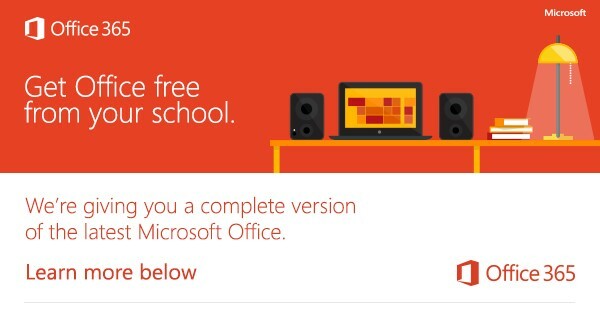 Click the "Complete Office 365 Education signup" link in the email from Microsoft. 5. Follow the instructions to establish your Office 365 account. Once your have created your account, you'll be able to download and install the latest version of Microsoft Office on your personal computers at no cost to you. If you have any difficulty in completing these steps, contact the IT helpdesk at support@lagrange.edu. LaGrange College has also partnered with ScholarBuys to provide students, faculty and staff with academic software at heavily discounted prices. Visit your personalized V-store at VarsityBuys.com to get the software you need today.